Is Hiring an Private Investigator Right for You? Brian O’Shea of Striker-Pierce LLC explains. Is Hiring an Private Investigator Right for You? Brian O’Shea of Striker-Pierce LLC explains..
via Is Hiring an Private Investigator Right for You? Brian O’Shea of Striker-Pierce LLC explains..
Striker Pierce is now offering counter social hacking and counter intelligence training to companies and individuals. QUEBEC, CANADA, December 4, 2014 — Brian O’Shea, CEO of Striker-Pierce LLC, specializes in corporate investigations using “social hacking” and now is offering to teach companies and organizations how these investigations are conducted in order to recognize the threat. Striker Pierce has used these techniques to conduct many corporate investigations. By teaching companies how social hacking is performed, Brian O’Shea feels that he can make companies a “harder target” for unethical or morally dubious players who may be trying to get at his Client’s secrets through social hacking. The practice of social hacking is not illegal, but can be damaging especially when used for “aggressive competitive intelligence collection.” For example, some collectors will capitalize on kindness, taking advantage of people’s desire to trust or be polite. Others may pose as buyers or potential customers to win trust and start a conversation. Matthew Little of the Epoch Times mentioned in a recent article on the subject: “Sometimes it helps companies figure out how their competitors cultivate clients, or provides detailed pricing so they can better market competing products.” But these are valuable pieces of intelligence, so protecting them is just as important. “He wants to tell others how to protect themselves from being duped,” Matthew Little also wrote. And he couldn’t be more correct. 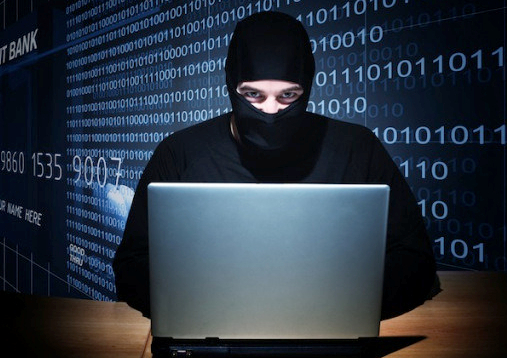 Striker Pierce will soon offer this counter-social hacking training in numerous regions around the world. Striker Pierce currently offers this and similar services to various Human Rights Activists and even high risk individuals. Striker Pierce also offers comprehensive Social Hacking Penetration tests, hacking companies on their own behalf to identify weaknesses. Striker Pierce encourages anyone to call their Headquarters in Alexandria, VA (USA) should they want to learn more or feel they are currently being targeted. Striker Pierce Investigations Now Offers Small Business Intelligence Solutions. via Striker Pierce Investigations Now Offers Small Business Intelligence Solutions. January 8, 2014 – Alexandria, VA – Striker Pierce Private Investigations, a Virginia Headquartered Investigations Firm serving the entire nation, recently launched “My Private Investigator” (http://myprivateinvestigator.wordpress.com/), a self-help blog site intended to help individuals either solve their own investigative problems, learn more about available services, or learn about their own situations from case studies. This site will feature tips for hiring Private Investigators, steps an individual can take to solve cases if no help is needed, and entertaining case studies which will hopefully relate to a lot of readers’ personal situations. Brian and his team offer free consultations, but in most cases they end up taking on Clients as the Clients feel much more comfortable using professionals. Brian’s Team, who will also be contributing to the Blog, have over 50 years of related experience that they feel many people in the United States and even overseas can benefit from. O’Shea encourages any and all readers to check out the site and provide feedback. Visit Brian O’Shea and the Striker Pierce Team at http://myprivateinvestigator.wordpress.com/ or at http://www.strikerpierce.com. Free consultations are available at 571-451-4833 and after hours emergencies can be handled at 1-855-9-STRIKE. This is it… You know he’s cheating…no one could possibly have that many “projects” keeping them late. And why has he started locking his phone and putting it face down every time he sets it aside. So you make the call to a licensed and qualified private investigator. -Price: Most investigators charge between $75 and $150 per hour. It’s not cheap, but it is the best way to figure out without questions what someone is up to when you are not around. Anyone who is charging too little may either “moonlight” as an investigator, which means that you are saving money, but the investigator probably is not very versed in the art of covert surveillance and may make your situation much worse by being seen or worse, interfering with the situation. -Staff: Proper surveillance should use at least two investigators in two separate vehicles (this is standard practice at our firm, Striker Pierce, LLC). This is important in case multiple targets are present, or in case one of the investigators is hurt or injured. Additionally, two sets of eyes to confirm the target is a must. Finally, should the target be driving, the two investigators can conduct surveillance in such a way (alternating who follows closer) as to not alert the suspicion of the Target. -Multi-mode: When you get your report, the investigators should have been on foot, in vehicles, in restaurants and bars…basically wherever the target went. If your investigator never leaves his or her car or stationary position, then you are only getting half the story. -A Report: You should always get a report, even if nothing happens. This shows you that the investigator was actually doing his or her job and give you a sense of how they are observing the Target. This also allows you to make suggestions to the investigators as to where or when the target will be. Finally, this also let’s the target know during mediation that you have been watching him, and may give you leverage during pre-trial negotiations. -A Money Back Guarantee: If your investigator misses the target, never sees the target, observes the wrong target, or blows their cover thus enraging the Target, then they should return your money. Surveillance is difficult, but it is also a core competency for our profession. Anyone who consistently makes these types of mistakes may want to consider a career change. Activity right away: It can sometimes take two to three days for a target to do anything suspicious. Unless the Target is doing something suspicious every minute of everyday…it may take some time. Be patient and work with your investigator. At Striker Pierce, we have several consultations with Clients before ever going into the field to ensure we can give maximum return on their dollar. Choose a night for surveillance when you are out-of-town, or when the Target claims to be working late. But remember, give the investigative team time to prepare. Unless you are paying hundreds of thousands for an exclusive investigator, they do have other Clients and need to plan their calendars carefully. You cannot call an hour before hand and say “Go follow my husband, I think he is cheating on me right now!” (yes, we get these calls all the time!). Be part of the process and work with your investigator. Damning Evidence Every time: He may not be cheating on you. This happens a lot, and I am glad to say that in these cases the marriages have remained intact. A Private Investigator will report exactly what they see. They can’t “make” a Target do bad things, they can’t even make a Target leave his office. You are paying for surveillance, plain and simple. We have had Clients act angry because we never observed suspicious activity. Though we did our job correctly, the guy simply was not cheating…instead he had rented a motel room and watched ESPN once a week and appeared to be taking a weekly “break” from his marriage. Marriage Advice: Your investigator cannot tell you what to do with your marriage…and an investigator that does is foolish. Seek a counselor or a lawyer if surveillance reveals a cheating spouse. A lot of clients over the years have asked us to conduct background checks on people they have met online to see who they really are. Striker Pierce has had many cases involving foreign individuals and entities that contact victims through email, social media and dating websites in an attempt to establish a relationship, trust and ultimately rob their victims of not only their money but their security and peace of mind. Lately we have seen a growing trend with unsuspecting victims being swindled out thousands of dollars by sophisticated and virtually untraceable suspects. We have all heard to the email scams the originate from faraway lands like Nigeria, Ghana, Thailand and China but there an increasing number of US based cyber-thieves that have turned the tables and are now targeting victims in Europe and the United States utilizing not only social media and email but more low-tech, traditional forms of identity theft to lure individuals and legitimate their web of deceit. Recently, we even had a Virginia based Man using the image of a woman he met at a bar in order to solicit money from overseas victims in France, the UK, and even Ireland. In this case, he targeted men over 50 and encouraged them to send money for “her” surgery. Investigate: Who is this person you are talking to? Really look into the person you have started an online relationship with. Ask questions such as “Where did you grow up?” “Where do you live?” etc etc. Then go back in a few weeks and ask again. If the stories don’t match up…run! You may also want to call Striker Pierce and have us take a look. We have handled hundreds of these cases and have taken down quite a few of these scammers. Do not send money! Never, ever send money over the internet…ever! If the person is real and the emergency is real, then meet them in person or over the phone. If they are sincere and they need the money that bad…they will meet with you. If they refuse…run! Do not give out personal info. Sure you want to get to know the person and they may legitimately want to get to know you. But tell them your approximate age, not your birthday. Tell them your closest major city, not your specific town. Use a disposable phone. Never give out your real number. Go to the drug store and by a phone and a minutes card. If the relationship goes somewhere, then by all means give them your real digits when you meet them in person. Listen to your gut. If it feels wrong, it probably is. Striker Pierce’s last 5 cases were investigations into attractive, European men and women who turned out to be Nigerian con-artists targeting them through online dating sites. In all these cases the Client’s really liked their online dates but felt something was off. We are given primal instincts that have saved us from predators for thousands of years…so listen to those instincts. Cheating Spouse ? Maybe…. 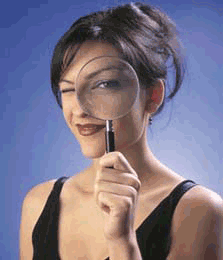 Private Investigator Tips in Making the Right Decision. A Private Investigator in any area get’s this question from prospective clients on an almost daily basis…”Is he or she cheating?” The honest answer we can give is simply that we don’t know. However, if you are asking this question you have two options: live with the stress of this suspicion or get some transparency. We normally recommend passive surveillance, and in a lot of cases we have shown that the spouse is not in fact cheating but may have changed work habits or may even have needed some space. Spouse has started working out a lot more: They are either getting ready for a triathlon or a hot date. The key thing here is the change in behavior. Some people do wake up and decide to get into fitness. However, if this occurs in conjunction with other suspicious changes, you may have a problem. Spouse is never separated from the Smart Phone: They either are waiting for their promotion call or they don’t want you to have access to their phone. We see this in almost every case: a spouse has started locking the phone and keeping it in sight, never leaving their mate alone in the same room with the phone. This is a problem 99% of the time. (Tip: Ask to use the phone, stating you can’t find yours…if your spouse refuses, you better give a Private Investigator a call). Spouse begins going to a lot more happy hours…and doesn’t invite you …ever. This is a gigantic red flag! This not only means that your spouse is creating distance, but this also means that your spouse is creating an entire separate world! Spouse no longer argues, simply dismisses your concerns. You’re in the 11th hour of the end of your relationship. This normally means they have checked out, so they no longer care whether you are happy, sad, or mad…they’re leaving soon anyway. (Tip: Either call a marriage counselor or a Private Investigator….or both. In many theories, one even called the “Four Horseman,” this is a catastrophic sign. If you want to save the marriage, call a counselor. If you think its beyond saving, call a Private Investigator in order to help protect assets and parental/guardian rights). All of the above are happening. This is bad and you need to decide if you are going to be a victim or a survivor. (Tip: Look, people change, many marriages just weren’t meant to be. You need to do an honest assessment of gain versus loss. Make a list of pros and cons of staying in the marriage or leaving. In this you must really think ahead and imagine each scenario and decide how much you can take. If you have children and/or assets, call a PI. If you can catch your spouse cheating, you will have enough evidence to sway a judge, mediator, or even your spouse as many would like to avoid court and would rather settle equitably).